The white Victorian house, originally owned by the Laperal family, stands at the right side of Leonard Wood Road in Baguio City, just before the Teacher’s Camp, when going to Mines View Park. It was built in the year 1920. During World War II, it was used as a garrison by the Japanese. Beheading of men suspected to be spies was said to have taken place inside the house, and women were raped in the rooms as well. Though Don Roberto, the Laperal family’s patriarch, survived the war, Doña Victorina died. One unfortunate day, Don Roberto slipped at the front yard and bumped his head that caused his death. A granddaughter of Don Roberto and Doña Victorina is also said to have died after being hit by a car upon crossing Leonard Wood road in front of the Laperal White House. 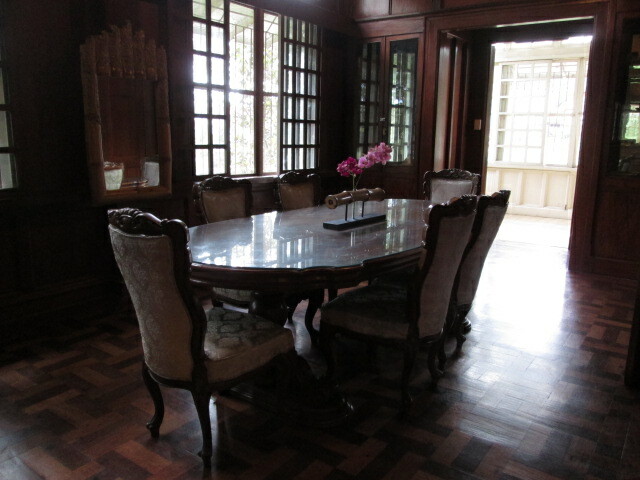 The house was originally colored pale yellow, but was painted white after it was bought by business tycoon Lucio Tan. Thus, it was called the White House that is considered a haunted because of stories of ghost sightings on the steps at the porch and the windows of the house. Caretakers live within the perimeters of the property, but not inside the house. Nobody goes inside the house at night, alone. Some taxi drivers say that they sometimes see a white lady standing on the third step of the porch (where I am standing in the photo) when they pass by the Laperal White House at night. The window at the Master’s bedroom at the second floor facing Leonard Wood Road, left side of the house. It was off peak season in Baguio that weekend and there was no sign of other visitors. I even thought that the property was already closed to the public. The gate in front of the porch was locked. Then we saw the “Welcome (The Famous Haunted House and Bamboo Art Exhibit)” signage in front of another gate that was open. The cemented path lead to the basement area at the back portion of the house where a registration desk was. The registration fee was P50/adult and P30/student with valid school ID. A small Certificate of Donation was issued saying that we were donors for the Bamboo Art Foundation. The Bamboo Art exhibit can be found in the basement at the back of the registration desk. Each piece was carved with intricate designs. I was amazed by the creativity and skill of the bamboo artists. Then we went around the house to get to the front door. We were free to roam around the entire house without any guide. It was Halloween the previous weekend so there were Halloween decors installed around the Laperal White House such as artificial cobwebs, and surprise. I’ll show you later. Upon entering, there was a skull placed at the console to the right. It has a sensor that when one goes near it, a voice will say “Heeelp meeeee!” I didn’t like it! (The truth was, I was scared. 😀 ) I told my boyfriend to put it down and to stay away from it. The interior of the house was all made of wood. I have read that everything was made from Yakal and Narra woods. By the way, the Laperal White House withstood the killer earthquake on July 16, 1990. 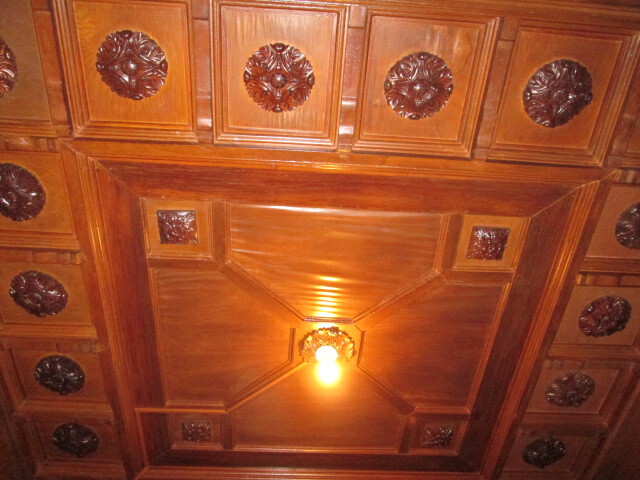 The wooden tiles were designed meticulously. We checked the ground floor first. 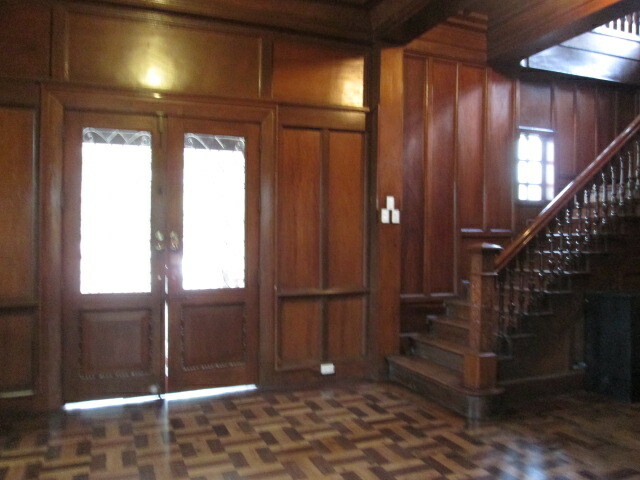 There was like a foyer upon entry, a sofa at the right side and a staircase going to the upper floors at the left. The dining room can be found in the next room. At the one end of the Dining Room was another empty room with wide windows. 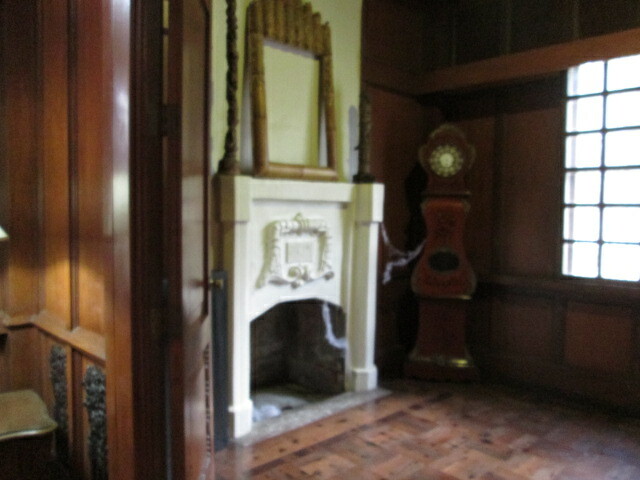 There was a living room with a fireplace and an old grandfather’s clock at the left of the sofa in the foyer. 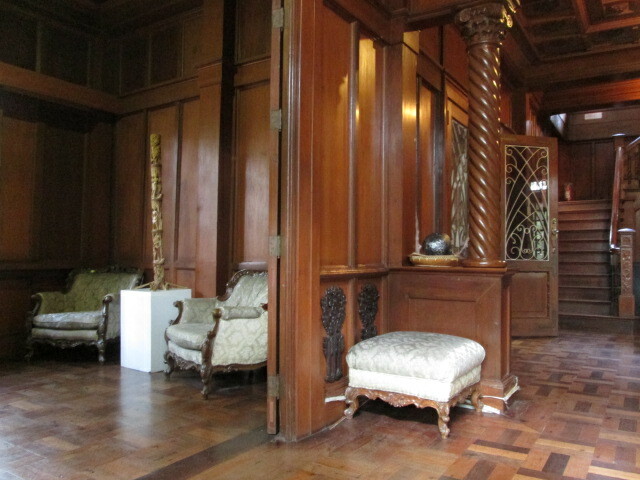 There was a screened double door to enter the hall where the four rooms including the Master’s bedroom were. The three rooms were of the same size. All that can be seen inside the rooms were a bed and built-in cabinets. I carefully and slowly opened each of the cabinets because they have spooky surprises inside. The Master’s bedroom was slightly bigger than the rest of the bedrooms. Opposite the white hall in the second floor was the narrow staircase going to the attic. There was a storage cabinet under the first flight of the stairs. My boyfriend said he felt heavy on his head when he went to the area and opened the cabinet. But he didn’t say that while we were inside the house. There was just an empty room to the left when we entered the door. It was where the veranda on top of the house was. The door to the small terrace cannot be opened that time. It was shut with nails. It is said that a house help committed suicide by jumping from the terrace. Then to the right, there was a small door to the attic of the house. Then we descended back to the foyer. I managed to sit down at the sofa. I have seen in Youtube that according to one of the caretakers he sometimes sees Doña Victorina sitting there, doing crochet, and Don Roberto going down the stairs. The sofa felt cold. And I felt the coldness at the back of my legs for a while even when I was already standing. Whew! So that was it! We survived at the Laperal White House. Til we meet again, Laperal White House. Hindi naman pala nakakatakot! Char! My boyfriend said that he felt heavy again as we exited the house. But he again told that to me when we were already away from the Laperal White House. The Laperal White House is open from 8 a.m. – 5 p.m.
You may take a cab. 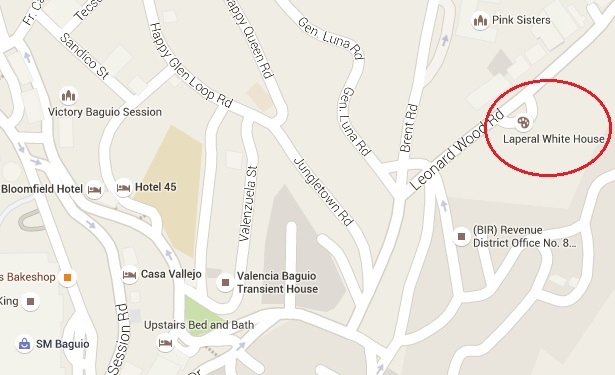 The fare from SM Baguio to Laperal White House may be around P60. Take a jeep going to Mines View Park at the jeepney terminal at Mabini Street (crossing Session Road). Tell the driver to drop you at Laperal White House. The fare is P8.50. 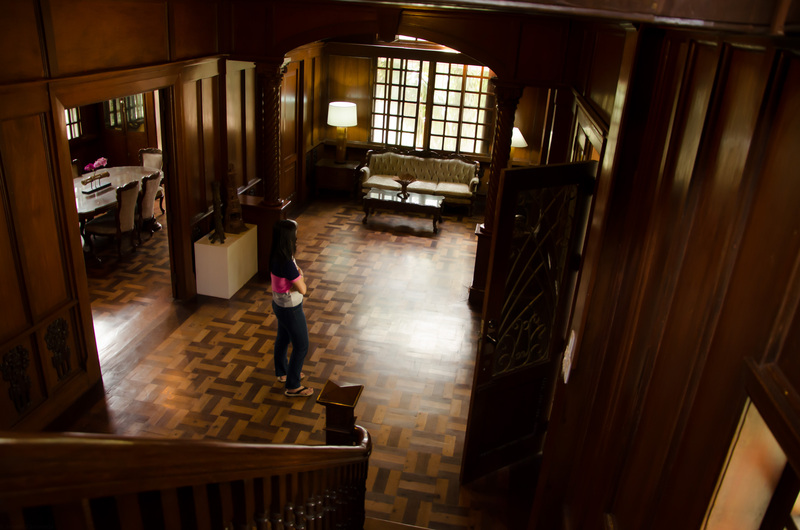 Do you want to take a virtual tour at another haunted spot in Baguio City? 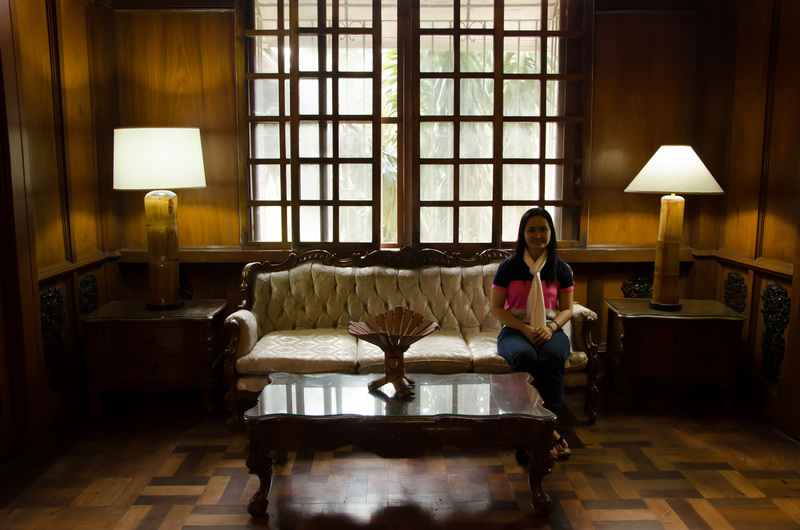 Try The Diplomat Hotel. Click here. Wow, what an interesting house that is. You’re braver than I to go in there, especially so close to Halloween. Thank you for taking a look. I haven’t felt anything while inside this house that people say is haunted though. Yes, it was just past the Halloween when we visited and there were halloween decorations around that I found fancy. I’ve got to fix the pictures in this post. Your history of the Laperals are not accurate Victorina Laperal did not die during WW2.